Follow our Facebook page for June rental discounts! We are located at Pere Marquette Beach (between The Deck restaurant and the U.S. Coastguard Station) on Saturdays and Sundays from 12pm-6pm. Want to rent a boat at a different location or lake? We deliver boats to you at most West Michigan lakes. Weekends and holidays always book up early, especially the pontoons and speed boats. Reserve months in advance if possible availability may be scarce or none. Can I bring my pet on board with a 3rd Coast Boat Rental? Yes, small pets are allowed. Any cleaning or damages incurred will be charged after inspection. Yes, all boats require a contract to be signed by an adult. Can we bring food and drink on the boats? Yes you can! We also provide coolers on our pontoon boats. The driver may not drink alcohol. Do you allow swimming off your boats? Yes, at your own risk. We strongly recommend all wear life jackets. The boat should be anchored/secured and in a safe area away from boat traffic. All watercraft boats include step ladders for boarding convenience. Yes, everyone must have a properly sized life jacket on board. We strongly recommended all kids wear them along with adults who are not strong swimmers. Michigan law requires all children six and under must wear a properly fitted life jacket while watercraft is in operation. Each boat will have life jackets to meet the capacity. How many people are allowed on the boats? The maximum capacity will be indicated on our website for each model. All persons, regardless of age, count towards the maximum person capacity. Maximum capacity is calculated by both quantity and weight, neither of which can be exceeded. YOU DO. It’s up to you to monitor your fuel gauge or your fuel tank itself (depending on what type of fuel tank your boat has). You must look at your fuel level regularly throughout your boating day and head back to the point of origin if you need additional fuel. Yes, if your fuel use exceeds the amount of fuel included in your rental price. Pontoons and Sea-Doo include one tank of gas, Speed Boats include 20 gallons. How big is Muskegon Lake? It covers 4,150 acres, making it the largest lake in Muskegon County.  We do serve other West Michigan area lakes as well.